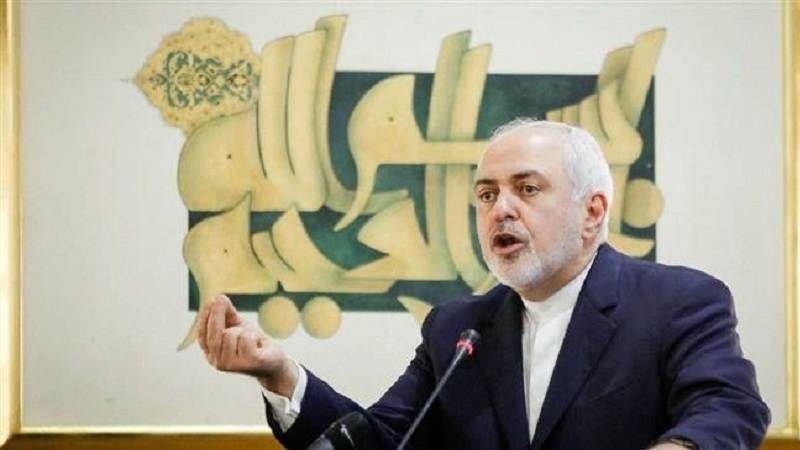 Iranian Foreign Minister Mohammad Javad Zarif says all US plots against the Islamic Republic have failed over the past 40 years thanks to the nation’s steadfastness in the face of Washington’s pressure tactics that have always proved to have reverse outcomes for the US. “It is necessary for all those friends who are pursuing Iran’s foreign policy to realize that we owe everything to these people. Our attitude towards security is based on domestic development and progress, and the more they exert pressure on us, the more we will rely on the nation,” Zarif said in an address to a meeting in Tehran on Tuesday about Iran’s 40-year foreign policy. He added that putting more pressure on Iran would merely make the nation more steadfast and united against foreign threats. “We not only need no foreign support for [our] security, but our progress and development stem from within the country despite foreign pressure,” the top Iranian diplomat pointed out. He said the Islamic Republic poses no threat to any country and welcomes efforts to develop international relations, emphasizing that Iran does not seek to engage in any war with any state but will strongly defend itself against all threats. The top Iranian diplomat said, “This nation constitutes the basis of the Revolution and our power base,” adding that the nation’s support for the establishment is an “endogenous” base for the country’s security. Earlier on Tuesday, Zarif minced no words while listing the United States’ failures over the past 40 years after US President Donald Trump shares his perception of Iran’s performance during the same period. “40 Years of Failure to accept that Iranians will never return to submission. 40 Years of Failure to adjust US policy to reality. 40 Years of Failure to destabilize Iran through blood & treasure,” Zarif tweeted. Meanwhile, Iranian Foreign Ministry Spokesman Bahram Qassemi also denounced Bolton’s anti-Iran tweetstorm, which came on the same day as Iranians were celebrating the 40th anniversary of the Islamic Revolution with nationwide mass rallies. Bolton, the Iranian official said, is suffering from a “chronic delusional disorder” on Iran and the Iranian people. Instead of making revisions to his false deductions, Bolton has been trying to find a way out of the consequences of his failed predictions, Qassemi added.